Check in, hop on board, unpack (your suitcase will be delivered to your cabin or suite) and relax as your floating hotel brings destinations to you. It really is that easy. No need for numerous flights or to pack and unpack as you island-hop around the Caribbean, tour the Mediterranean or enjoy history and culture in the Baltic. 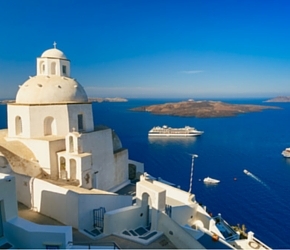 Cruise around the world, sail in the Mediterranean or Baltic, or discover exotic Asia. The choice is boundless. There’s island-hopping in the Caribbean and cruises along the coasts of Canada and New England. Looking for something more exotic? You can cruise to Antarctica and the Arctic, sail through the Northwest Passage, go on wildlife safaris in the Galapagos and voyage around the Kimberley in Australia. Your cruise price mostly includes breakfast, lunch and dinner in the dining room or self-service, as well as all entertainment. Some cruise lines additionally include gratuities in the price; others include drinks, gratuities and speciality dining. Cruise with Regent Seven Seas Cruises and Hebridean Island Cruises and your shore excursions will also be included. More than 1.5 million youngsters aged 17 and under go on cruises each year because there are so many exciting things for them to do on family-friendly ships these days – and all at no extra charge. They could be learning to surf, scooting down high-speed water slides, zip-wiring or walking over tightropes. All the modern resort-style ships have kids’ and teen clubs with non-stop activities ranging from arts and crafts to pool parties and discos for youngsters aged three to 17. 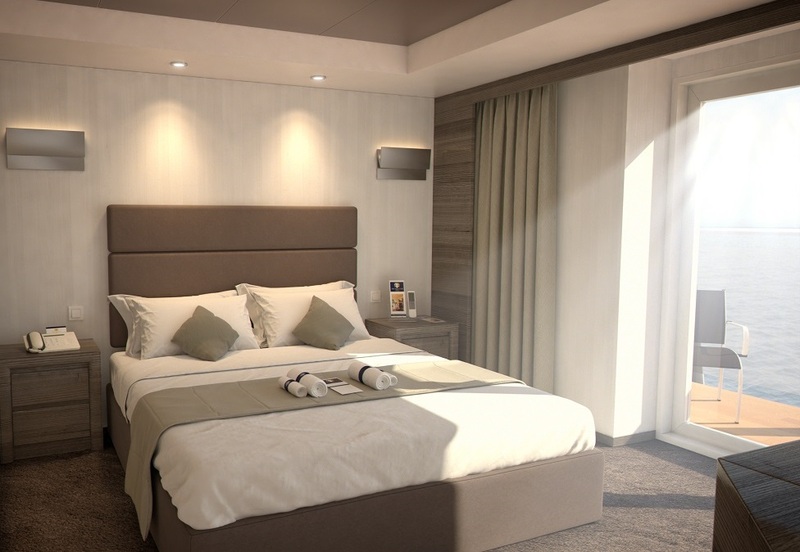 Cruise ships have a range of cabin categories to suit all budgets, from inside cabins that don’t have a window to rooms with an ocean view or balcony. Several have family suites with separate living and sleeping space, and perhaps even a side room for the kids. If money is no object, luxurious suites as big as apartments have multiple bedrooms and bathrooms, private gyms and even grand pianos. With lavish breakfasts, lunches and five-course dinners included in the cruise price, you’ll never go hungry on a cruise. Help yourself in the self-service or pop down to the dining room for waiter service. New cruise ships also have alternative restaurants (mostly with an additional cover price attached) serving everything from Italian favourites to Asian dishes and steaks. Sail with Crystal Cruises to dine in an Asian restaurant created by sushi king Nobu Matsuhisa (at no extra charge), or with Royal Caribbean International’s Anthem of the Seas to sample Jamie’s Italian – Jamie Oliver’s first restaurant at sea. Want to dress up? Or down? 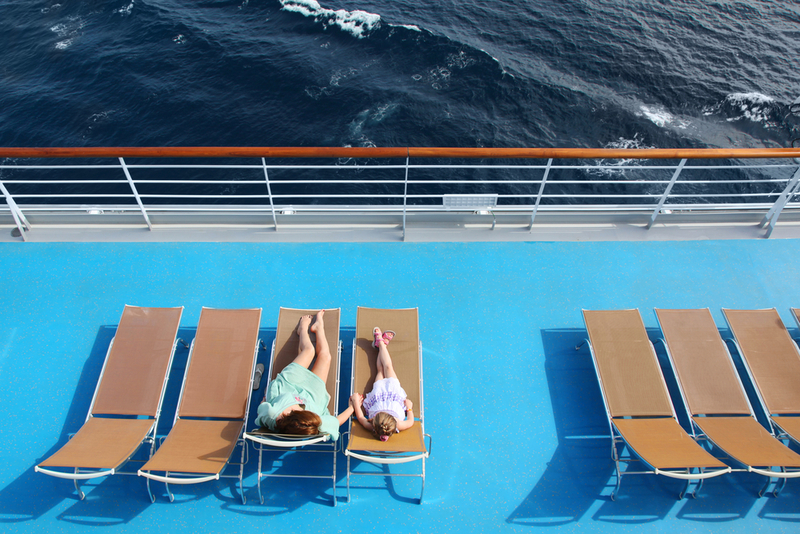 Whatever your fancy, there is a cruise to suit. Downton devotees should consider Cunard or P&O Cruises; check out Norwegian Cruise Line if you prefer to go casual all the way. Most cruise lines are somewhere in between, with one or two formal nights per seven-night cruise. Mostly a dark suit and tie will suffice for the men, with smart trousers, skirts or dresses for the ladies. 8 WILL I BE BORED? Bored is one word you never hear on a cruise as passengers are busy seeing the sights on port days and learning new skills on days at sea. You can learn to mix a cocktail, taste wine, cook paella, do the foxtrot and even how to fold a napkin. Too much like hard work? Spend the day with a good book or treat yourself to a spa treatment. Cruise with Voyages to Antiquity or Swan Hellenic, or to the poles with Hurtigruten, and sea days will be filled with erudite lectures about the history, culture and wildlife of all the wonderful places you’ll be visiting. Everyone loves to eat on a cruise ship but a week or more at sea is also a great way to get into shape. Modern cruise ships have large gyms equipped with state-of-the-art equipment, from treadmills and cycles to cross-trainers and weight training. There are also yoga, Pilates and stretching classes (mostly at an extra cost). Increasingly, ships have TRX training, which uses suspension cords for a full body workout, high-intensity spinning classes and cardio boxing classes. Production shows in the theatre are the staple diet of cruise ship entertainment, and a few companies have upped their game by putting on West End shows with professional players, but if that doesn’t appeal there are also acrobatic and aerial acts, comedians and live bands in the bars and lounges. Several big ships have evening film shows on giant poolside movie screens.